Celebrate The Goring’s centenary with a deal of historic proportions: rooms at 1910 rates. Stay three nights or more at the 71-room, family-run property adjacent to Buckingham Palace, and the first night is just 37 pence (about 60 cents). Through 2010, doubles from $395, including breakfast. 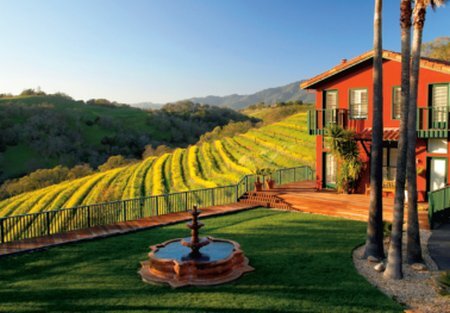 Toast California wine country in comfort at BeautifulPlaces’ selection of Napa and Sonoma villas. Guests booking stays of four nights or longer by February 8, 2010, get a $500 credit toward dinner in The French Laundry’s private dining room, an in-villa dinner party with a private chef, or a guided wine tour in the valley. Through March 31, 2010; villas from $759, including a bottle of wine on arrival. Virtuoso’s Voyager Club kicks off its 20th anniversary festivities on Crystal Cruises’ world cruise from Miami. Open only to Virtuoso travelers, the complimentary club carries perks such as shipboard credits of $500 to $11,400, depending on cabin category, for those sailing the entire 108 days. World cruise and segment passengers enjoy complimentary cocktail parties hosted by Virtuoso’s chairman, Jesse Upchurch; special shore excursions, such as dinner at a tango club in Buenos Aires and tours of Oman and Ephesus; and prepaid gratuities. As if that’s not enough, Crystal has recently announced two-for-one fares and additional amenities for all 2010 sailings. Departure: January 11, 2010; world cruise from $58,245 and segments from $6,340. Warm up after holiday shopping at the new 147-room Four Seasons Hotel Seattle. Virtuoso guests receive a seasonal dessert from pastry chef Ryan Witcher, served with a blanket and some of Seattle’s finest coffee by the fire pit on the outdoor patio (home to a heated infinity-edge pool and Jacuzzi, with views of Elliott Bay and the Olympic Mountains). Through December 31, 2009; doubles from $395, including breakfast and a $50 spa credit. Discover Peru with Big Five Tours & Expeditions. A new ten-day adventure exclusively for Virtuoso travelers begins with flights over the Nazca Lines and a yacht outing to the Ballestas Islands, followed by five days on the Amazon River aboard the 24-passenger Aqua. River excursions include hikes in search of birds and wildlife, piranha fishing, and visits with local farmers. Departures: Multiple dates through December 15, 2010; from $6,350.